Not too long ago, my friend and I went to eat at a restaurant where they serve authentic gyros. Y’all, the flavor that burst into my mouth with that first bite is simply indescribable. I knew right then and there that when I went home, I was going to play around and create my own. 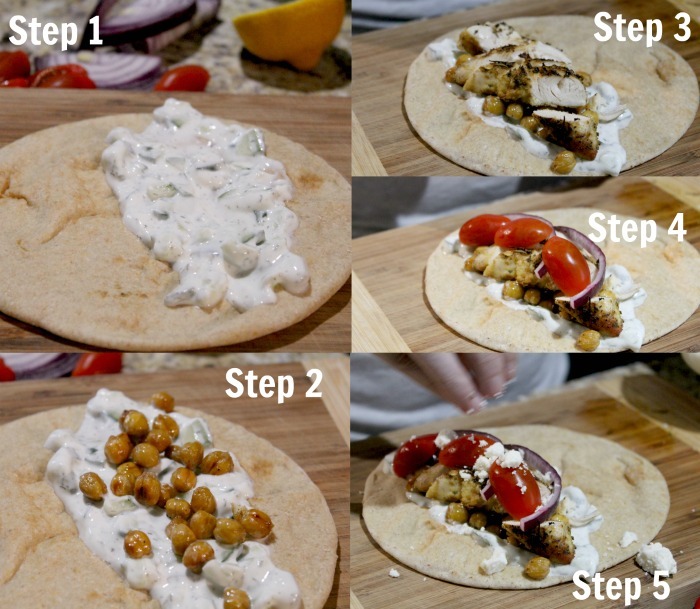 That is how I came up with this delicious Roasted Chickpea and Chicken Gyro. 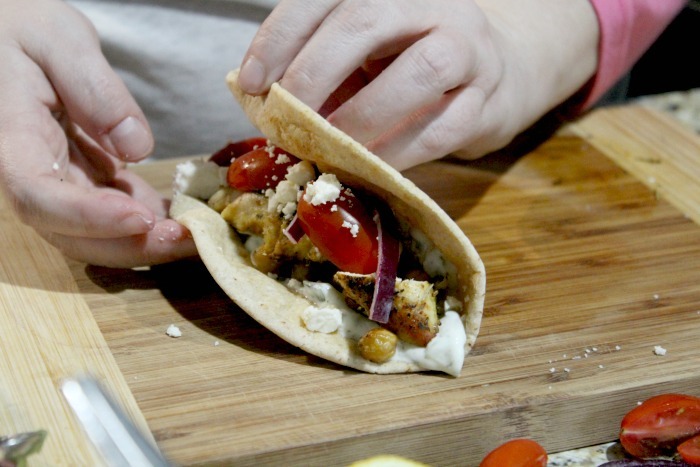 What really makes this gyro so delicious is the crunch of the chickpea. I love buying a can of chickpeas and roasting them to use in the place of croutons on salad, or to take the place of potato chips. It’s an all natural way for me to get more fiber and protein in my diet. You start out by draining your chickpeas from the can. 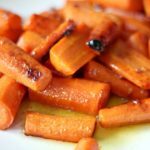 Dry them off and place them on a sheet pan. Drizzle on some olive oil and sprinkle on salt and pepper. Roast them in the oven at 400 degrees for 20-30 minutes. While the chickpeas are roasting in the oven, you have to make your tzatziki sauce which ties everything together. It is made with greek yogurt, an English Cucumber, dried or fresh dill and a squeeze of lemon juice. The longer it sits in the fridge, the better it tastes — trust me. Once you get this made up, set it aside and get your chicken ready to saute in the pan. 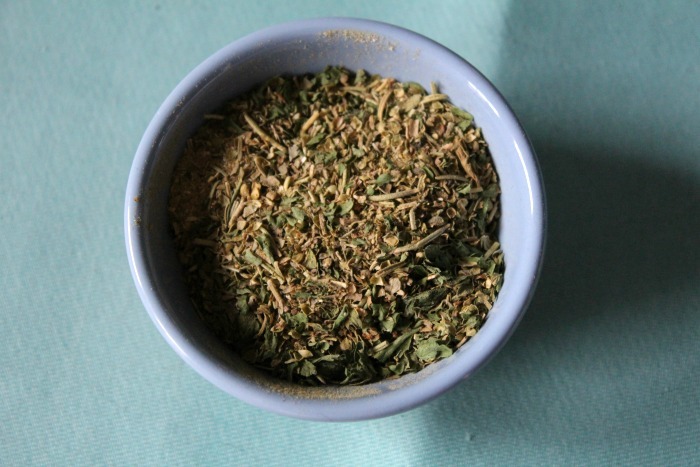 I make up my own Greek Seasoning, but you can totally buy the store bought version. It’s full of rosemary, oregano, basil, and more. It is so full of flavor! Then, top your chicken and saute in the pan for about 5-7 minutes per side or until chicken is done and reads 165 on a thermometer. 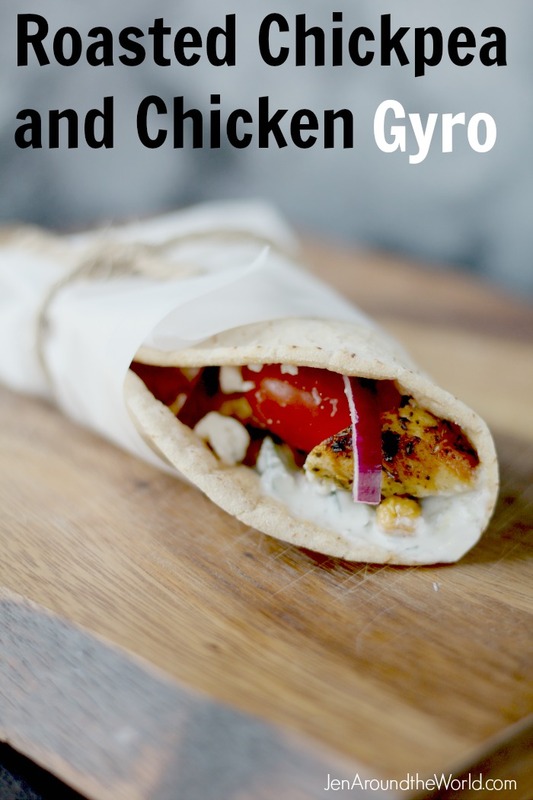 Now that you have all of your components ready, it’s time to assemble this delicious take on a Chicken Gyro. Step1: Lay out your pita bread. 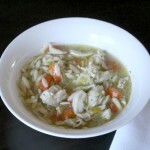 Top with a dollop of the delicious tzatziki sauce that you made. Step 2: Top with the roasted chickpeas. Step 4: Top with slices of cherry tomatoes and red onion. Step 5: For the last and final step, sprinkle on Feta Cheese. Now fold it all together and enjoy! We wrap ours with parchment paper on the end to keep everything in while you eat. With every bite you are going to be going “oooh — aaaahhhh”. Start by preheating your oven to 400 degrees. Remove chickpeas from can and drain really well. 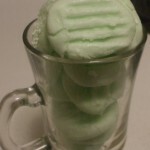 Place them on a paper towel and pat dry. Put on a sheet pan an drizzle on about a tablespoon of olive oil. Season with salt and pepper and move around to coat all chickpeas. Roast in the oven for about 20-30 minutes, shaking the pan every 10 minutes. 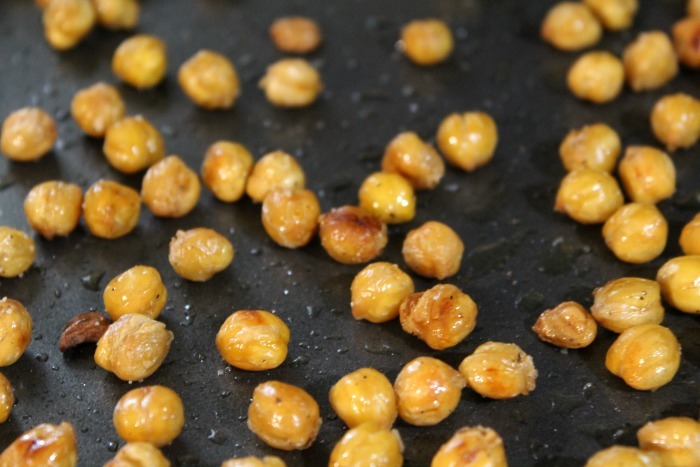 Remove from the oven when chickpeas are golden brown and toasted. The Cucumber should be peeled, finely diced and strained of it's juices. I squeezed it really tight by the fistful. You can use a cheese cloth if you wish. 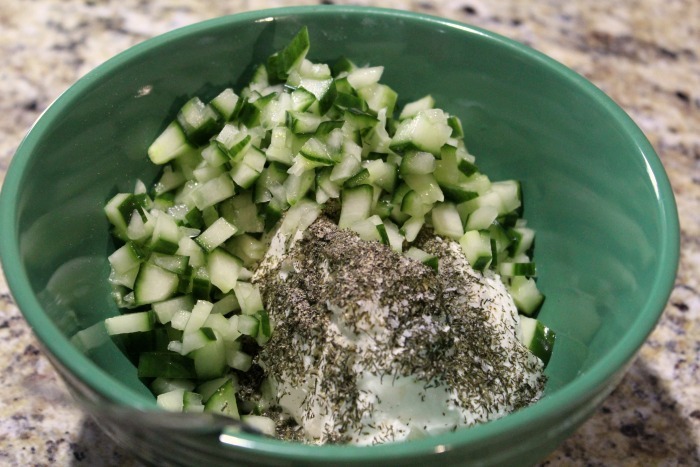 Getting rid of excess juice is important so that you tzatziki sauce isn't watery the next day. 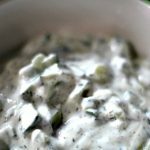 Combine the strained and chopped cucumber with 2 cups plain greek yogurt, 1½ Tbsp lemon juice, 4 pressed garlic cloves, ⅓ cup chopped dill, ½ tsp salt (add more to taste) and ⅛ tsp black pepper. Mix everything together and add more salt to taste if needed. 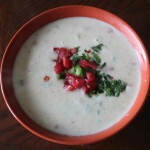 It's best to refrigerate for about 1 hour before serving to let the flavors meld. 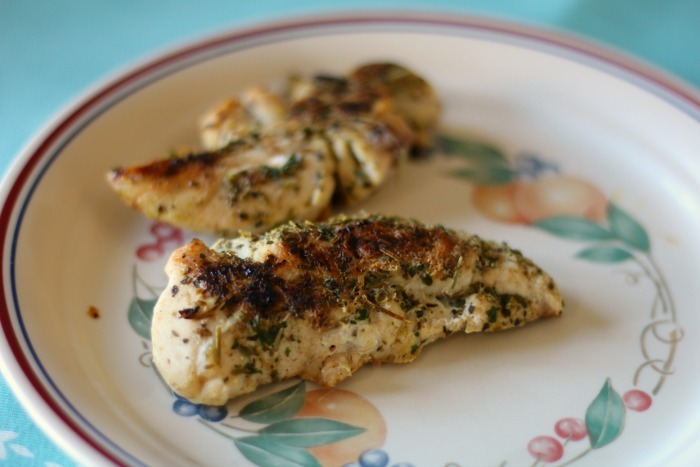 Take the chicken out of the package and season with Greek Seasoning. Saute in a pan 5-7 minutes on each side or until the chicken is cooked through all the way. 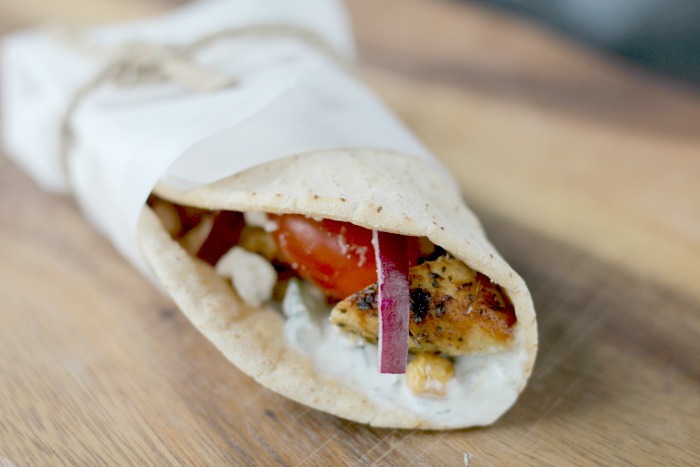 Top a pita bread with a dollop of Tzatziki Sauce. Slice one of the grilled tenderloins and place on top. 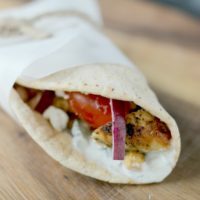 And just like your tastebuds will be going crazy for this Roasted Chickpea and Chicken Gyro, your cat will be going crazy for the new Rachael Ray™ Nutrish® Longevity Chicken with Chickpeas & Salmon Recipe. 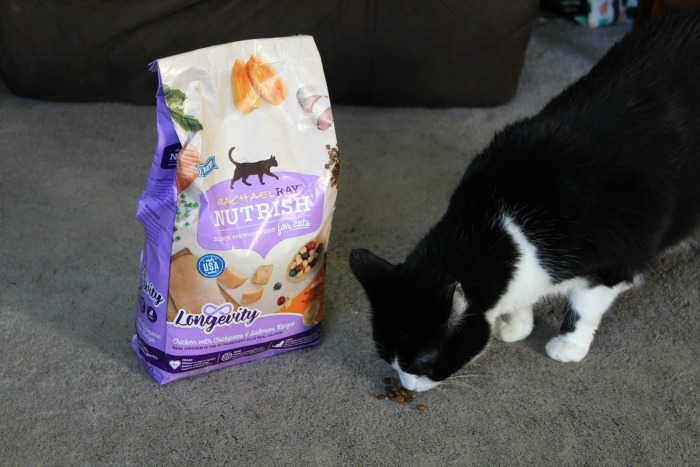 Rachael Ray™ Nutrish® Longevity Chicken with Chickpeas and Salmon Recipe is a natural food for cats with added vitamins, minerals & taurine. This recipe contains a real superfood blend that meets all of Boots and Mittens lifelong nutritional needs. Boots and Mittens really loves the new Longevity formula. It makes me happy as a cat owner to know that they are eating real U.S. farm-raised chicken which is always the #1 ingredient, plus real salmon. It is a superfood blend for lifelong nutrition with a focus on your cat’s heart, mind and body. 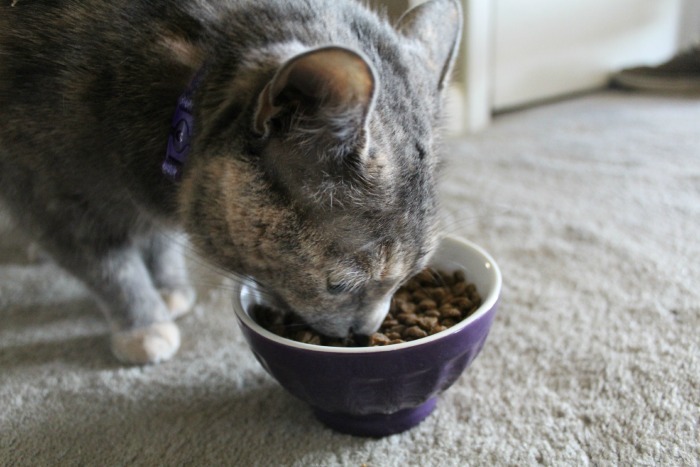 Even though all of my animals only eat Nutrish for Pets, anytime we change the formula that they are eating, we introduce it slowly. A few pieces here and there until their bodies get used to it. 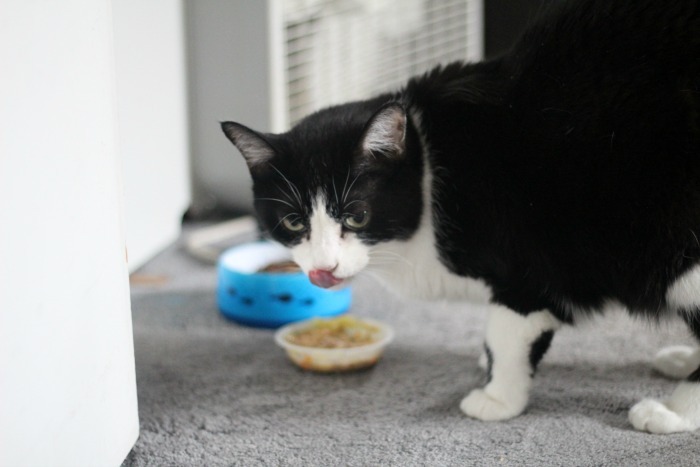 For Mittens, she ONLY eats dry, but for Boots, we feed him both wet and dry. The wet helps with his megacolon issues to move things along. 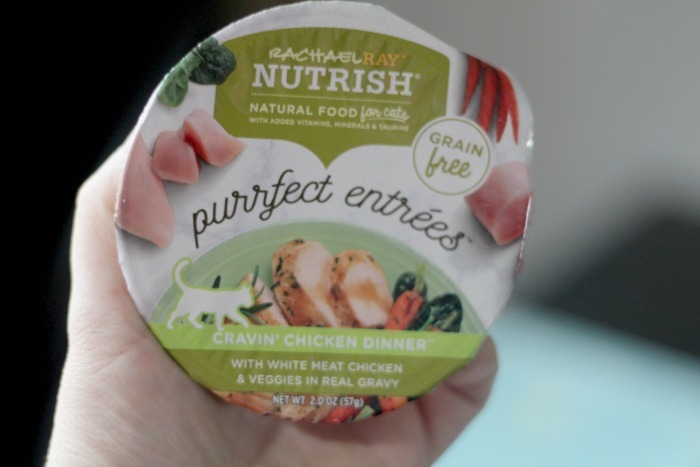 When we found out about the new Rachael Ray™ Nutrish® Purrfect Entrees™ Cravin’ Chicken Dinner™ Recipe that was available I knew I wanted to get it for him. 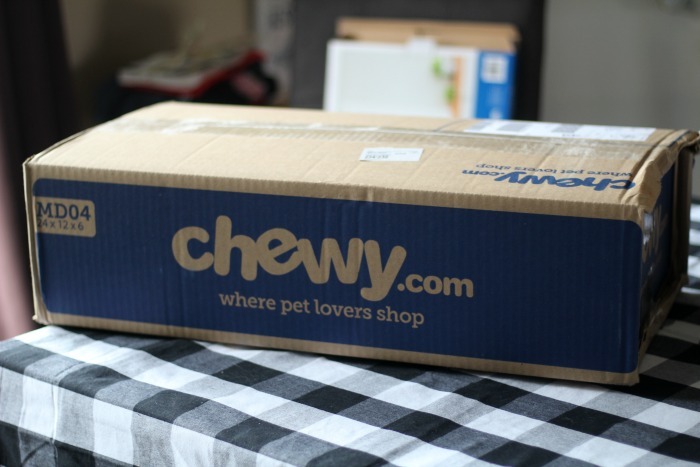 We hopped on to Chewy.com to place our order and within 24 hours this lovely box showed up! 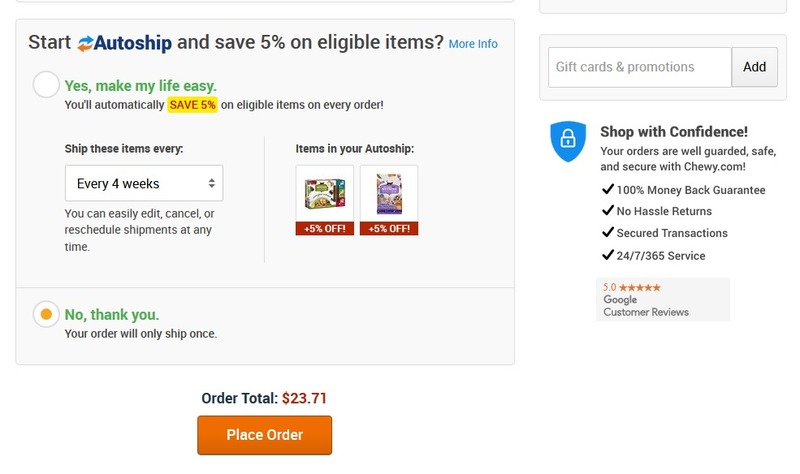 They offer 1-2 day shipping, with free shipping on orders over $50 and the best part? They have autoship y’all. I never have to worry about running out of food again. The Rachael Ray™ Nutrish® Purrfect Entrees™ has a kit that offers all 3 new flavors in a convenient box, so instead of just going with one flavor, I got this box instead. 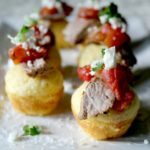 Yummy recipes made with wild caught salmon, white meat chicken, or yellowfin tuna – accented with tender veggies and served in delicious culinary sauces. They are culinary classics… purrfected and Boots was super interested when I opened it. He’s got a sniffer y’all and he knew this was some good eating! From the moment I sat it down in front of him, he literally could not get enough. He loves this formula even more than his old formula of Nutrish for Cats wet food. Our pets count on us for everything. And it’s our duty to give them the best and never let them down. 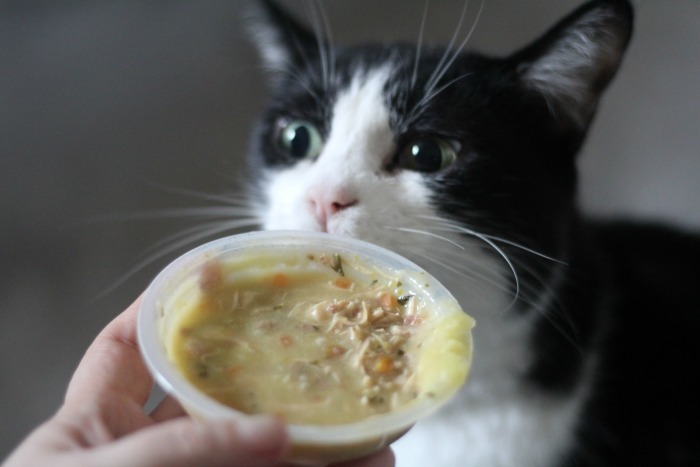 Nutrish knows just how you feel, because they’re pet parents too. 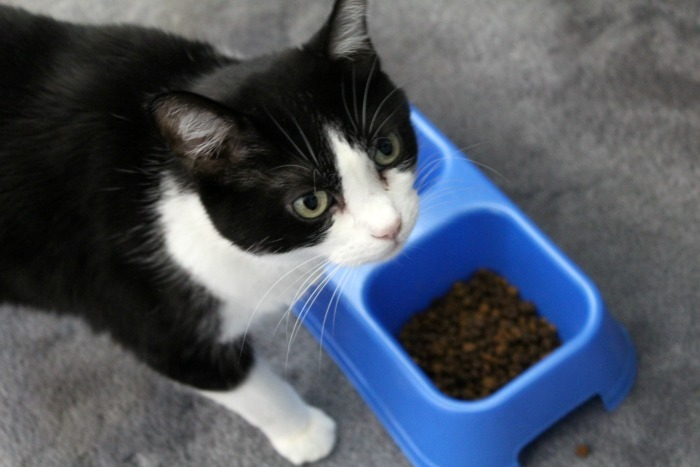 That’s why everything they do is aimed at nourishing pets everywhere — including offering dry and wet cat food recipes made with simple, wholesome ingredients like real meat or fish, and do not contain poultry by-product meal or fillers. But this is the real reason why I love the Rachael Ray Nutrish for Pets brand. A portion of proceeds from each sale of Nutrish is donated to The Rachael Ray Foundation, which helps animals in need. 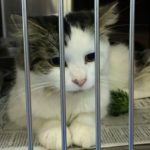 Through December 2017, more than $23.5 million dollars have been donated to animal charities and other organizations that do good for animals. 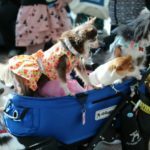 The funds are used for food, medical supplies, treatments, and more. Many more animals around the country need help, and through The Rachael Ray Foundation, together we can make a real difference in the lives of many four-legged friends. 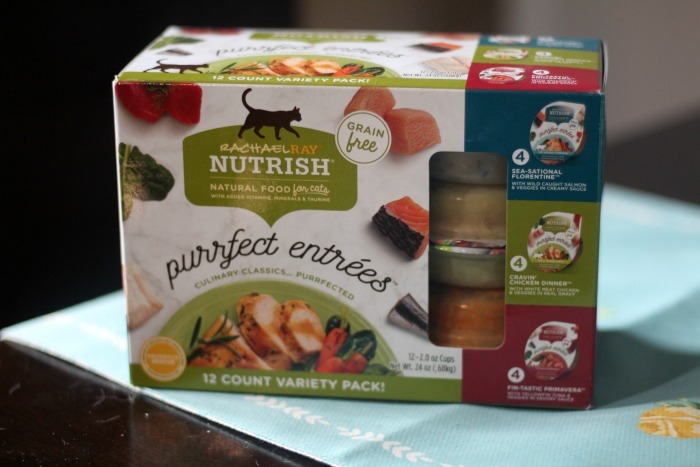 If you are interested in switching your fur babies to Nutrish, click here for an exclusive coupon and then click here to find a store near you.